Women may need support or comfort when selecting new shoes, but the way shoes look is always a consideration too. Fashion and practicality have to form the right combination when one chooses new footwear. Everyone has their own sense of style, but a cute pair of shoes should also have some sensible advantages. Sneakers usually possess the same basic construction, which makes it seem like one only needs to select her preferred colors and design, but some may be better for running or walking than others. The Women's New Balance 990V3 works for both runners or walkers but has a high density foam that can cushion feet when one walks long distances, and Flex Appeal Sketchers are built for runners in training and are lightweight while providing extra traction. Yoga seems to be here to stay instead of a passing trend, and those who take classes or practice in private might want to own the correct footwear for this surprisingly challenging activity. Yoga shoes look like ordinary sandals but are usually made from the same materials as a yoga mat, so they provide the same benefits as a mat with added comfort. Sandals like the Women’s Yoga Sling 2 from stores like Sneaker King offer color and a thicker strap, and many yoga sandals are vegetarian and vegan. It is tempting to forgo sensible options when choosing shoes that match one's personal style, but it may be most important for casual, everyday shoes to have some practical benefits since these shoes are worn often. 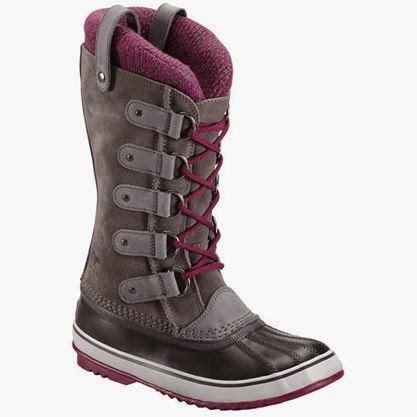 Darling Harness boots from UGG Australia offer height and pair well with jeans but are also durable and customizable. The harness adds a unique look but is removable when one wants a chic, simple boot. Shoes meant for multiple purposes mean that women have more opportunities to wear their cute finds, but dual purpose shoes also help when needing a shoe for rare occasions. The Hikerfish Boot by Sperry is water-resistant for boating and provides traction for hiking, so those who spend some time outdoors only need one shoe for both activities. Other, more traditional boat shoes are a good mix of function and fashion because many Sperry boat shoes have unique detailing and fun patterns while offering versatility and a snug fit lacing system. Great looking shoes offer the most benefit when they are also supportive, versatile or right for an activity.